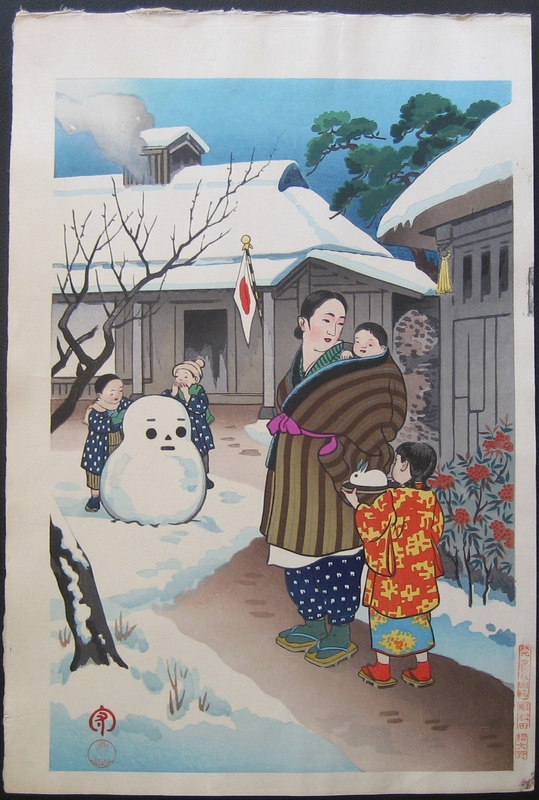 Description: Oban size print of a Korean scene with children building a snowman. One of a series of woodblock prints depicting everyday life in Korea by Hiyoshi Mamoru. Appears in the Kyoto Hanga-In catalogue as item K-79.